Surge Your Profits: Internet & Social Marketing Strategies: Hootsuite Santa's Message - Ho! Ho! Ho! How Social Media Saved Santa's Bacon! And it may save a friend's this season? especially for small businesses - and it's FREE! Tweet, post, pin, podcast, broadcast on Youtube, and more... get your message across now! There are always procrastinators who leave their shopping to the last minute. still a large chunk of sales yet to come? Your LAST chance to make a difference to your bottom line for 2012! Need a hand? Let the social media elves help out. Looking for a handy Elf Tool? Here is an APP that can boost your Twitter usage as a power user. So what is TweetDeck? It is a Twitter client for desktop, web, and mobile devices. You can organise your tweets, help you gain more insights, filter unwanted tweets, monitor and manage an unlimited number of Twitter accounts, as well as schedule tweets. It also allows users to stay on top of their notification alerts via Twitter. The app works via the web and has a desktop as well as a Chrome version. There are also mobile versions for TweetDeck including an iOS and Android application. TweetDeck makes Twitter more powerful especially for power users. 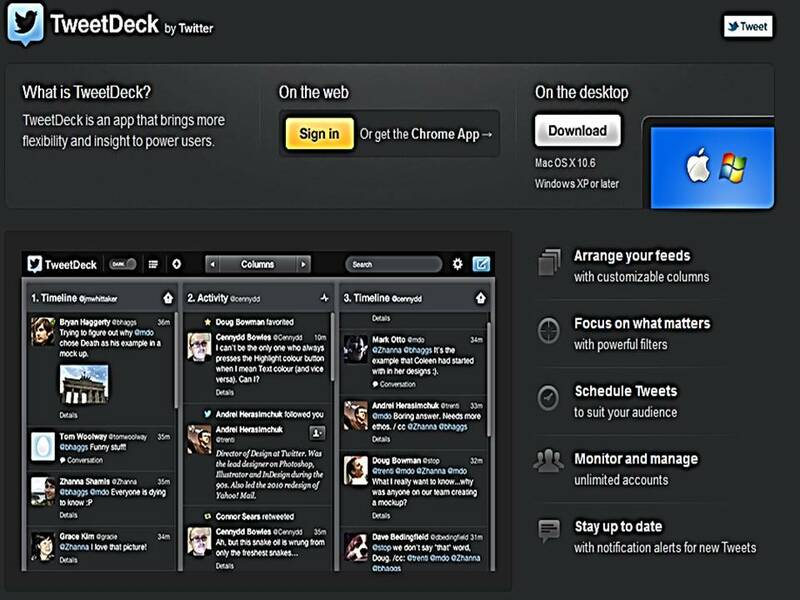 Tweetdeck was originally "an Adobe Air desktop application, designed with a unique columned user interface. Its initial goal was to be a realtime application that allowed users to conveniently monitor that information in a single concise view." It later integrated services from Twitter, Twitscoop, 12seconds, Stocktwits and Facebook. In February 2011 there was an attempt to acquire Tweetdeck by UberMedia but that move was quickly countered by Twitter which acquired Tweetdeck successfully later that year and rebuilt the application in HTML5. 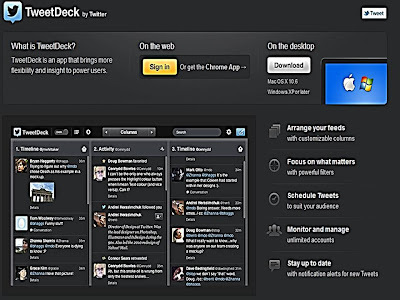 By the way, Tweetdeck is (still) Free!